The HARP mortgage program allows homeowners to refinance into low mortgage interest rates even if the property has decreased in value or is upside down. “Upside Down” simply means that you owe more on your home than it is currently worth. The HARP mortgage was established in 2009 to assist homeowners with a Fannie Mae or Freddie Mac mortgage loan to refinance. A HARP mortgage refinance addresses situations where the homeowner’s property value has fallen causing them to no longer to qualify under traditional refinancing criteria. 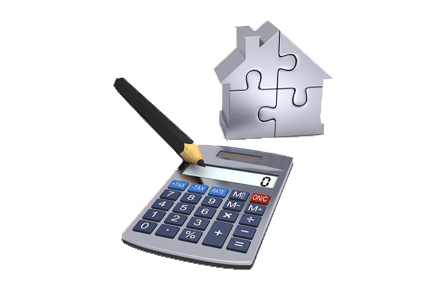 A HARP refinance only applies to Fannie Mae or Freddie Mac mortgage. The homeowner must be able to afford the new lower payment. The current mortgage must be up to date with no late payments in the past twelve months. Payments on the new loan must be more affordable or more stable than on the existing loan. Depending on the new loan, the Loan to Value (or LTV) cap has been removed or capped at 105%. The Federal Housing Finance Agency (FHFA) has unveiled a new interactive map that shows how many homeowners are eligible by state. Florida is at the top of the list with an estimated 82,000 homeowners eligible for a HARP mortgage. Florida has more HARP eligible homeowners than the entire west coast (California 32,000, Oregon 7,000 , Washington 13,000) combined. The top three counties in Florida are Miami 19,000, Tampa 14,000, and Orlando with 9,000. Due to the uncertain fate of Fannie Mae and Freddie Mac the HARP program has been stuck in limbo for quite some time now. The Corker-Warner Housing Finance Reform and Taxpayer Protection Act is the most recent plan to shutdown both Fannie Mae & Freddie Mac within the next five years. They are to be replaced by a central Federal Mortgage Insurance Corporation (FMIC) which is modeled after the current (FDIC). So where does this leave HARP? Until the fate of Fannie and Freddie has been decided by the powers that be, it is unlikely that HARP will undergo any major changes any time soon. If you do currently qualify for HARP be aware that 2015 deadline is quickly approaching. There is a lot of speculation as to whether or not HARP 3.0 will come into being? Harp 2.0 has already aided millions of homeowners working hard to pay their loans off. Harp updates are now very much awaited by the American population. Increase cooperation between the HARP and mortgage servicers. These directives will allow many people to take advantage of the program than the previous Harp 2.0 programs. The permission of more than one Harp refinances will allow homeowners to save more than they did before and get improved rates if rates decrease.